Don’t hire an unlicensed plumber, the “savings” aren’t worth the risk. Home repairs can be a real pain in the…wallet, I get that. I’m a homeowner too, and I sometimes hyperventilate at the thought of hiring someone, like a plumbing company, to make repairs in my home. I don’t know if the plumbing company is trustworthy, I don’t know if they will charge me fairly or try to take advantage of the fact that I don’t know what they are talking about. 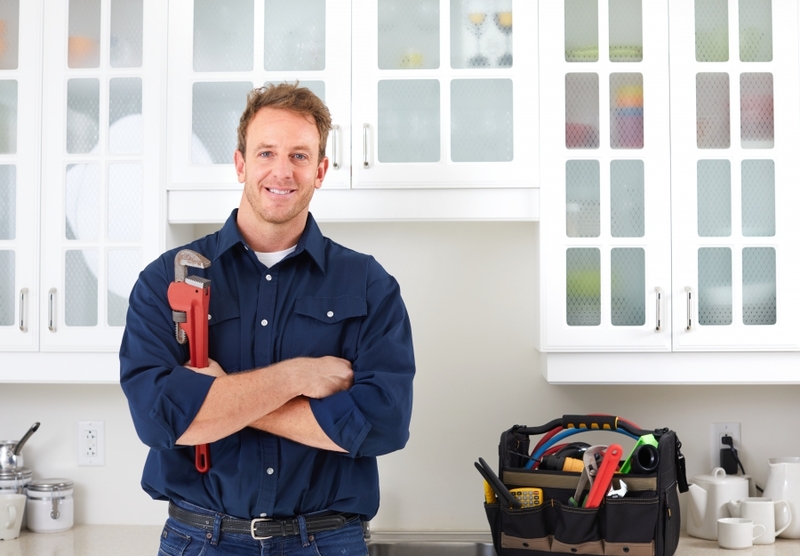 All I want when I choose a plumbing company to make repairs in my home, and that is probably exactly what you’re looking for. I want someone to be honest, charge fairly and educate me with my options so I can choose what is best for my family. Even though I own Robins Plumbing, and I have been in the plumbing service profession for over 20 years, even I get stressed out about hiring someone to make repairs. I admit though, I expect service repair companies to perform the way my technicians perform, with a Higher Level of Service. It can be tempting to hire a buddy, or “that guy” someone knows to save a few dollars by having them perform the work on the side. After all, why not? We either know them or a friend knows them, and it is enticing to let someone make repairs in our home at a discounted rate. What we don’t consider is that when we choose someone to perform a side job in our home to save a few bucks, we put ourselves, our homes and our family at risk. Consider this…..that person that is doing the work on the side is not insured, they are not licensed or bonded and they have no repercussion if they do something wrong. You have no recourse. I see this all of the time, and I bet you do too, people asking for requests for repairs on Facebook or looking for someone on Craigslist. You have no idea who this person is, you are allowing a stranger into your home that you have not performed any kind of background check on. This isn’t just plumbing, though I see this often, and I also see the repercussions. When you hire a service repair person for your home plumbing needs, I encourage you to spend the few extra dollars to have a licensed and professional plumber perform the work, so you’re not allowing what could be a predator in your home. Electricians, painters, cleaning companies, HVAC, handymen, plumbers. Licensed reputable professionals do extensive background checks and training to ensure your family’s safety, not just during the job, but after. 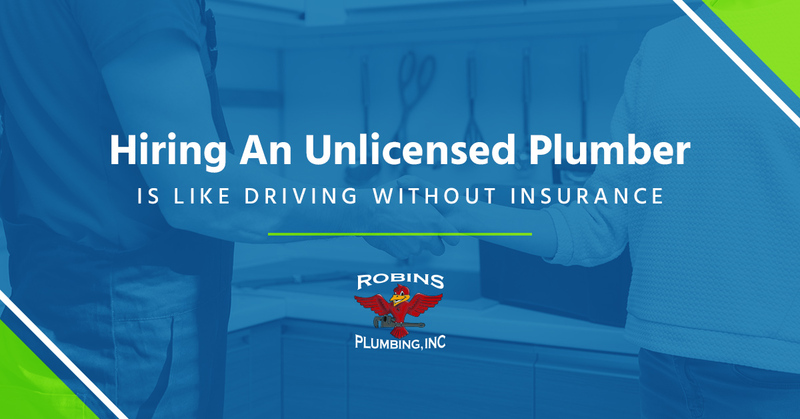 Licensed plumbing companies hold insurance. That is there to protect you if there is a mistake. They are bonded which is also there to protect you. When you hire a buddy, or a stranger from Facebook without doing your due diligence it is like driving your car without insurance. It is risky. You might get away with it a dozen times, but that one time you get in an accident or you get pulled over, the “savings” were never worth it. In my professional experience I have seen so many botched jobs done by unlicensed plumbing professionals and I always hear the same thing, “Now I have to pay to have it done twice!” We all know the adage, we get what we pay for. Well, it is very often true, and we see it every day as we go out and repair work that wasn’t done right the first time. Worse is when we see the damage caused by unlicensed professionals, most often floods. The homeowner has no recourse against the individual that did the work, yes, they could try to sue them personally but that rarely happens because of the legal expenses, just to ty and recoup money that the person doesn’t have. I’ve even seen insurance companies refuse to cover the damage because the client hired an unlicensed plumber to make the repairs and those clients ended up paying out of pocket several thousand dollars in damages. We know it can seem tempting at times to hire someone “cheaper” that isn’t licensed to make repairs, but before you do, think about the long-term consequences. Licensed contractors have to perform to a higher standard of anyone else, and they have to have people and insurances in place for your protection. Does a licensed contractor cost a bit more than that random guy on Facebook, yes, but it is well worth it when you consider what you get for the money. Want to know more about what a difference hiring a licensed contractor can make, check out our blog, Licensed vs. Unlicensed Contractor.